Anfibio oggetto senza tempo, entrato da anni nella storia del design per la sua praticità, per le sue funzioni e per la sua semplicità, è stato progettato nel 1970 ed è esposto dal 1972 al MoMA di New York. Non solo Anfibio, ma anche Papillon, Bazaar e Teso sono stati selezionati dal comitato scientifico e dal direttore artistico del Museo del Design Italiano, Joseph Grima, che ha affermato: “Quella che si apre è un’avventura che ha qualcosa di magico. La nostra speranza è che si trasformi in una specie di Grotta di Aladino, un viaggio attraverso la storia del design italiano”. Giovannetti products have a special relationship with museums around the world, present in 13 International Museums and, already inserted for several years at the Triennale in Milan, with the inauguration of the Italian Design Museum (“Museo del Design Italiano“) they will be part of the permanent exhibition. 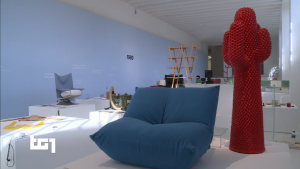 As President Boeri says “The Triennale is the house of design”, and Giovannetti is there. 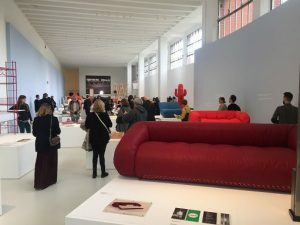 In the new Museum of Italian Design, which in its first exhibition wants to tell more than thirty years of creativity from 1946 to 1981, around 200 objects are exhibited, selected from designers and companies that have made Italy famous in the world for excellence and quality. Next to Ettore Sottsass, Mario Bellini and Gio Ponti’s “Superleggera” is the project by Alessandro Becchi for Giovannetti. Anfibio timeless object, entered for years in the history of design due to its practicality, its functions and its simplicity, was designed in 1970 and is exhibited since 1972 at the MoMA in New York. Not only Anfibio, but also Papillon, Bazaar and Teso were selected by the scientific committee and the artistic director of the Italian Design Museum, Joseph Grima, who said: “A new adventure that has something magical about it is opening up. Our hope is that it becomes a kind of Aladdin’s Cave, a journey through the history of Italian design”.